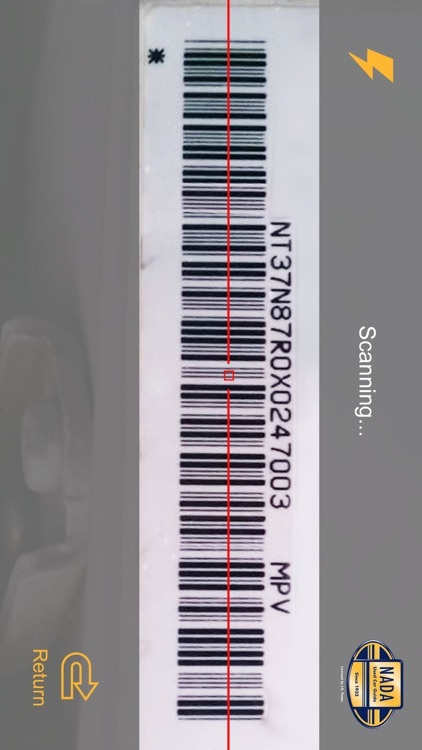 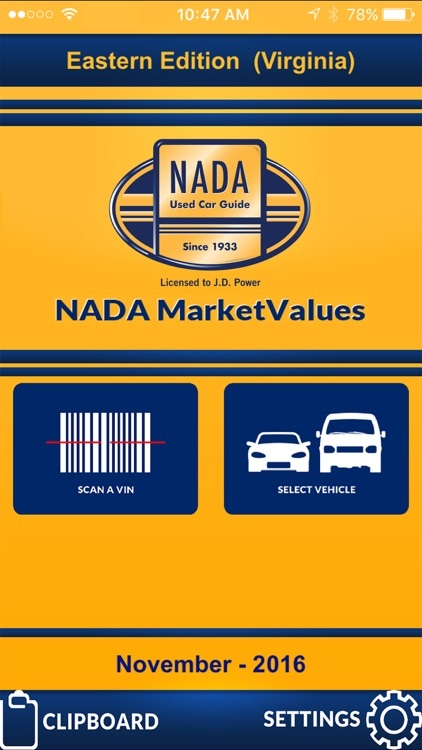 Fast and easy to use to determine the market value of a vehicle by scanning the VIN or entering the year, make, model. 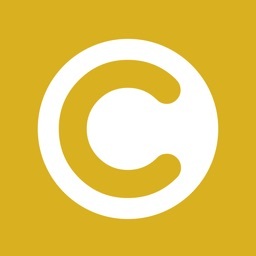 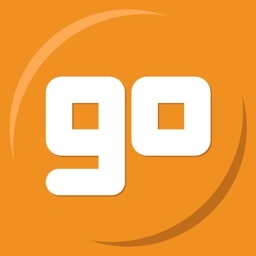 Internet or cell phone connectivity only required for automatic data updates. 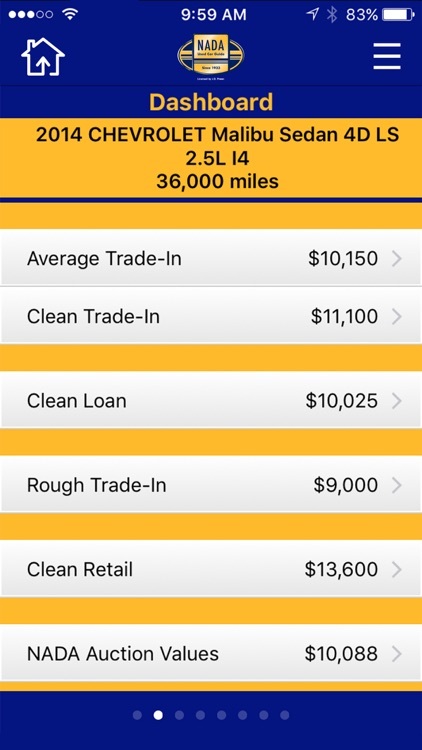 Prior to the purchase of your subscription, you will have access to 10 Retail Value look-ups ONLY within 30 days. 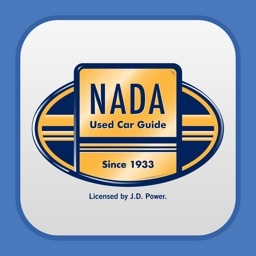 Try NADA MarketValues today to get the market data you need to make informed business decisions on the value of a vehicle. 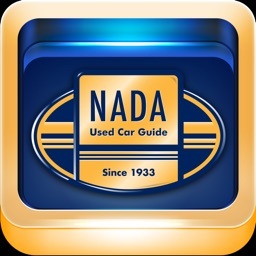 Then contact us at 800-544-6232 to sign-up for your REQUIRED subscription for NADA Values and/or AuctionNet values. 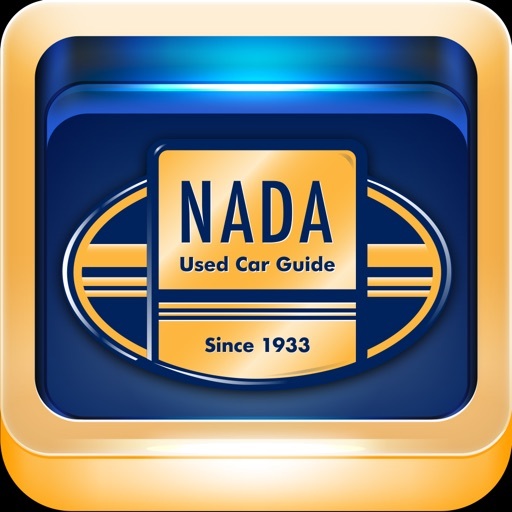 NADA Values provides trade-in (rough, average, clean), clean loan, clean retail – including optional CPO for select vehicles, and auction values (low, average, high). 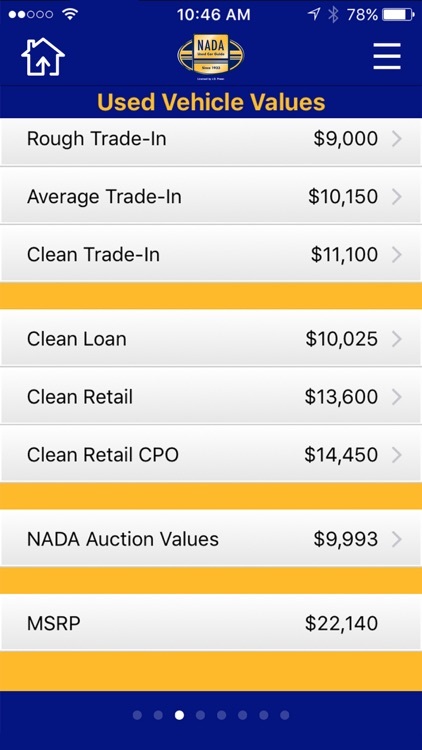 AuctionNet provides wholesale auction transaction data from over 80% of auctions in the country with the ability to sort by region, mileage or sale date. 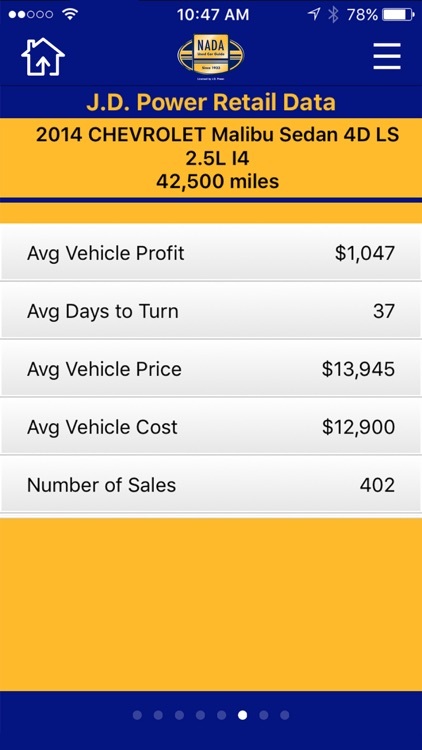 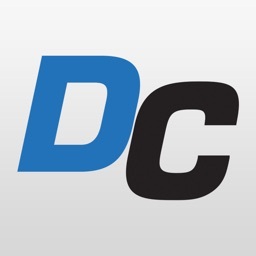 Integrates with your AutoCheck and CARFAX licenses to access the vehicle score and full history report. 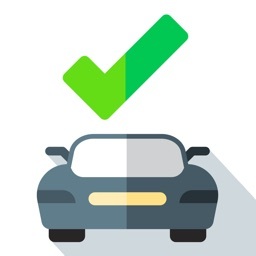 Vehicle History Reports require VIN and Internet connection.